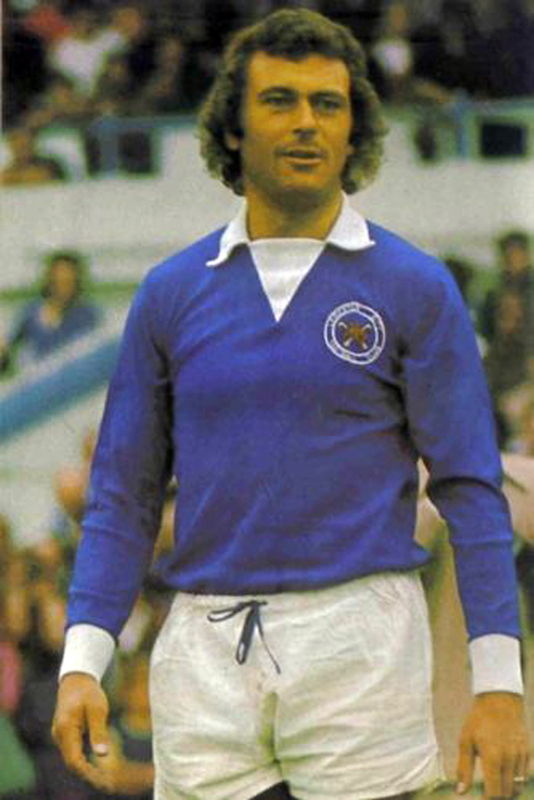 Entering their second season in the First Division, Brighton had spent big on Rangers’ scheming attacker Gordon Smith and Manchester City’s hard-working Michael Robinson, both £400,000 purchases. 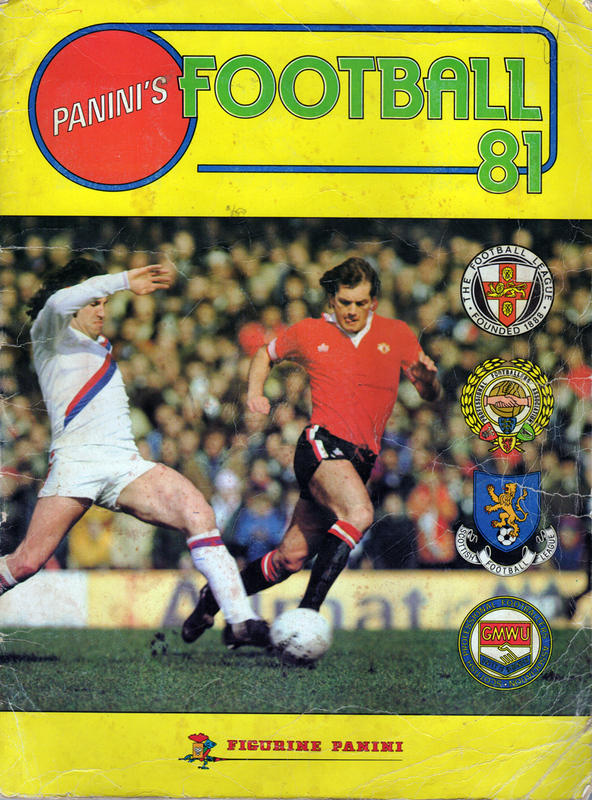 The expectation was that a top half finish really was on the cards, with a rise in attendances to follow helping to pay for Mike Bamber’s spending bonanza. 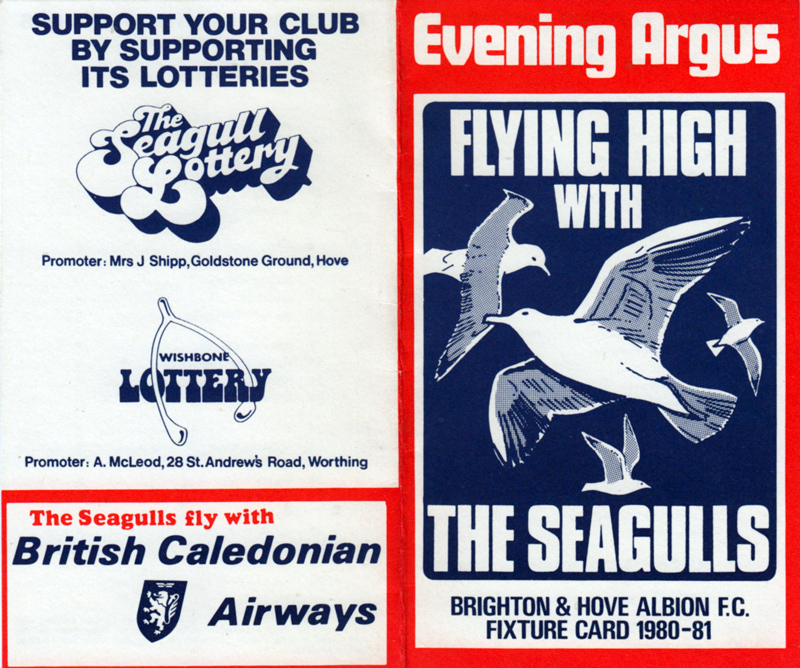 The season started as it would end, with victory at the Goldstone, but 1980/81 was to prove a traumatic struggle for the Seagulls, as form dipped and another relegation battle ensued. If you look at the crowd closely enough, you may even see some familiar faces. It’s a cracking image and one that doesn’t appear to be given much of an airing these days. 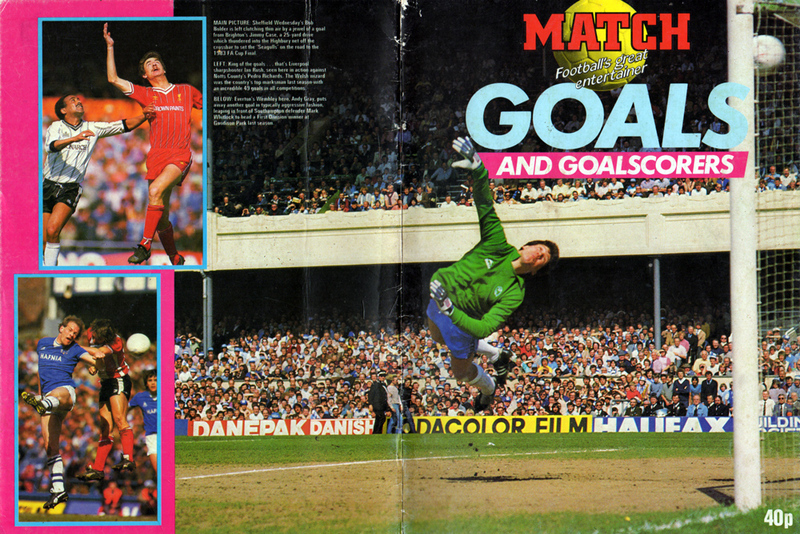 Makes a change from the Big Match Revisited footage that is frequently shown on the ITV 4! If Albion were still suffering from the flu germ that forced the postponement of the previous week’s match against Stoke, it was Weller who sent Leicester fans’ temperatures soaring with a vintage display. He played the key role in Leicester’s first three goals, then capped a first-class display with a goal of his own. Weller gave warning of what was to come when, after four minutes, he cut past three men and struck a shot over the bar. Leicester then had to survive a purple patch by Albion, before going ahead after 20 minutes. 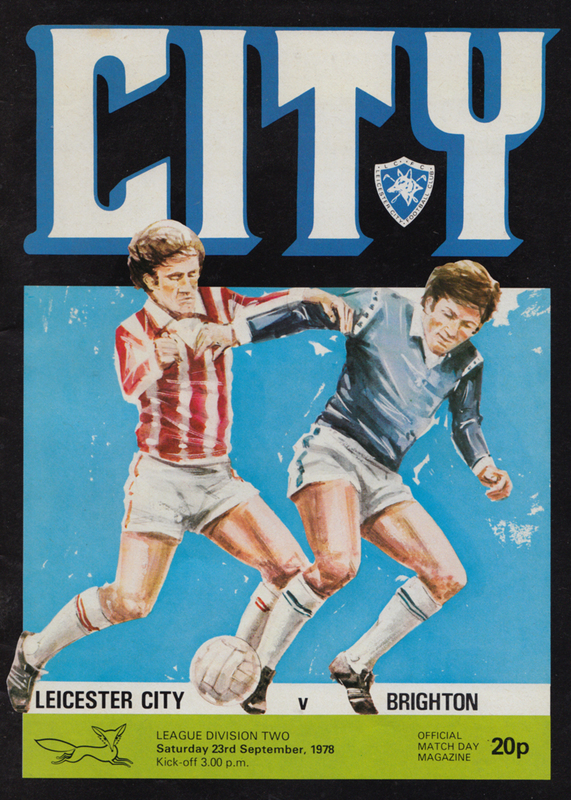 Steve Kember, who controlled midfield for most of the match, found Weller on the right – and Trevor Christie tucked Keith’s low cross inside the far post. Eight minutes later, Leicester were two up. Weller won the corner and took it himself. And with the bewildered Albion defence massed at the post, Billy Hughes placed his header just inside the near post. But Brighton did enough before half-time to suggest that Leicester still had a fight on their hands. Peter O’Sullivan missed a first half sitter, and Teddy Maybank’s strong running caused moments of blind panic in the Leicester defence. Leicester indeed looked to lose their rhythm until a 57th minute penalty by Hughes put the result beyond doubt. Again, it was Weller’s good work that created the opening. He seemed certain to score until Mark Lawrenson brought him down. The usually immaculate Lawrenson had his name take for dissent and Leicester centre-half Steve Sims was also booked for a stiff challenge. But by then, Leicester were beyond caring. For although full-back Gary Williams pulled one back for Albion with a superb volley 15 minutes from the end, it was then too late to mean much. And a minute later Weller got the goal he so richly deserved when he pushed a short ball from Christie past the helpless Eric Steele. 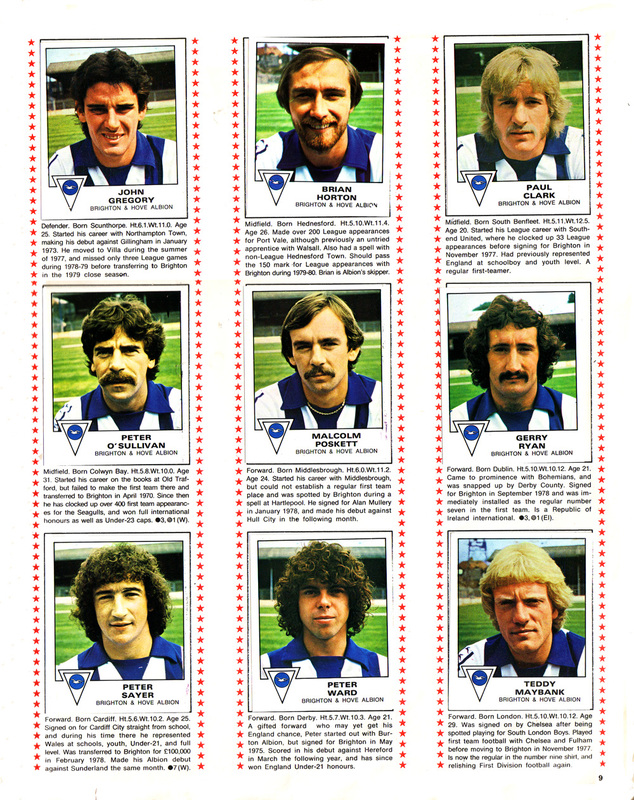 Leicester: Wallington, Whitworth, Rofe, May, Sims, Kelly, Weller, Kember, Christie, Duffy, Hughes. Sub: Welsh. 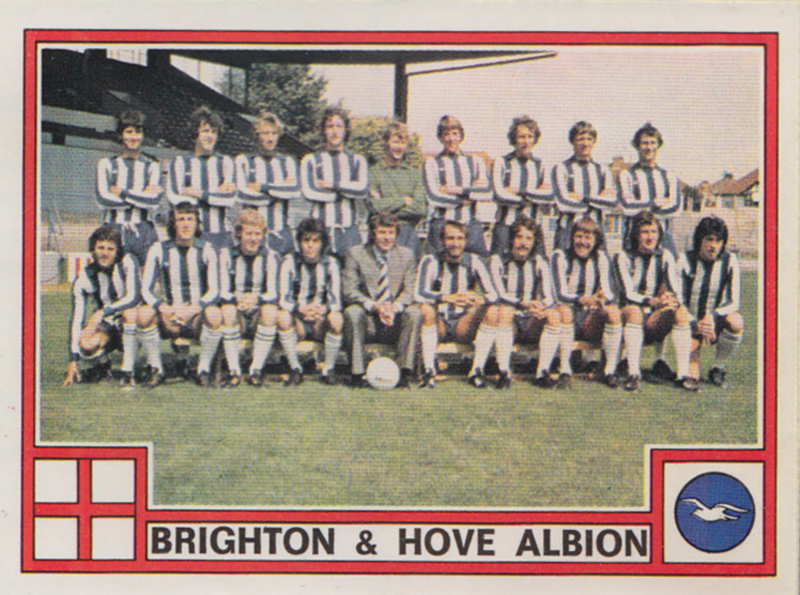 Brighton: Steele, Tiler, Williams, Horton, Rollings, Lawrenson, Towner, Ward, Maybank, Clark, O’Sullivan. Sub: Sayer. It was a mystery to me why we had performed so badly. 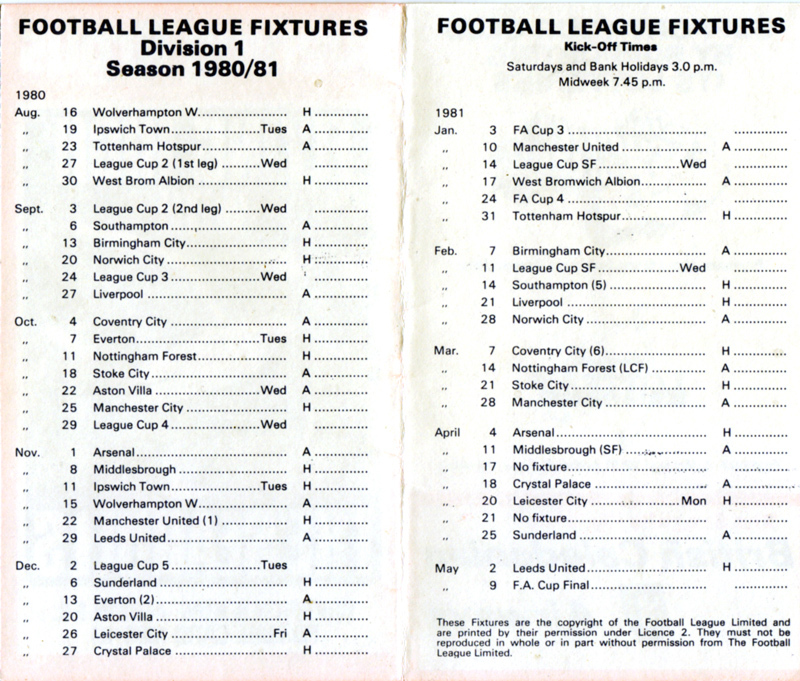 On the Tuesday following the defeat, I received a letter saying all the lads had been spotted out in a nightclub in Worthing on the Thursday night. Maybe there was a reason for our poor performance after all and there was going to be hell to pay if it was true. I confronted the lads in a group the next day in training and gave them the opportunity to see me in my office if they were involved. 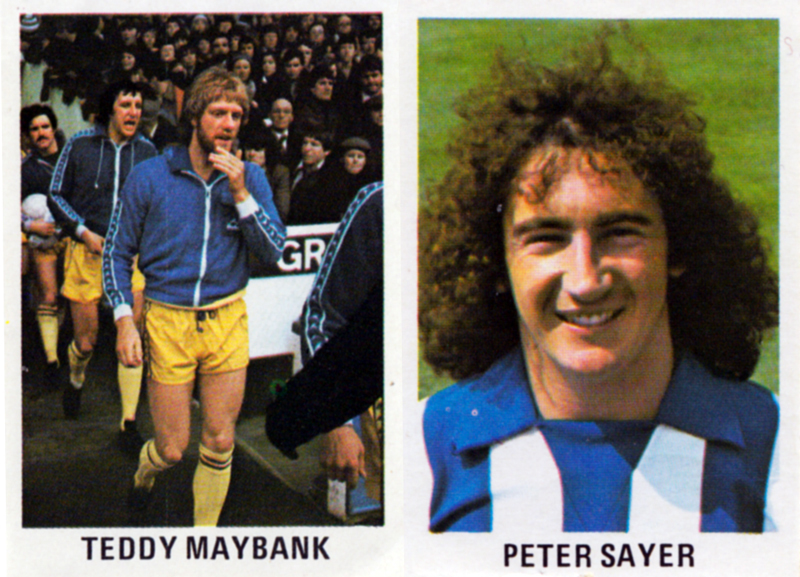 In the end, Teddy Maybank and Peter Sayer both knocked on the door and admitted they had been at the club, but hadn’t been drinking any alcohol. Both were fined two week’s wages which went to a guide dogs’ charity. Following on from the undoubted success of the Swap cards the Sun followed up in 1971/72 with the ambitious Soccerstamps collection. 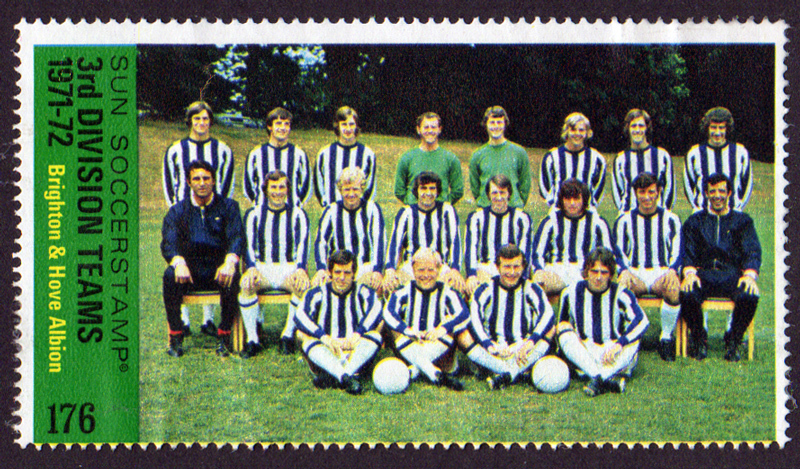 The Soccerstamps were stamps, rather than cards, and came in a wide variety of sizes, shapes and colours. 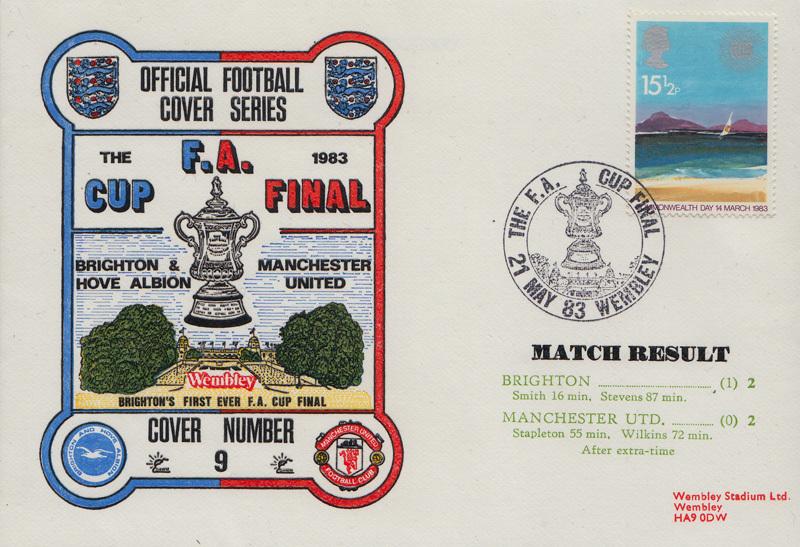 The tokens for Soccerstamps appeared in the Sun each day. 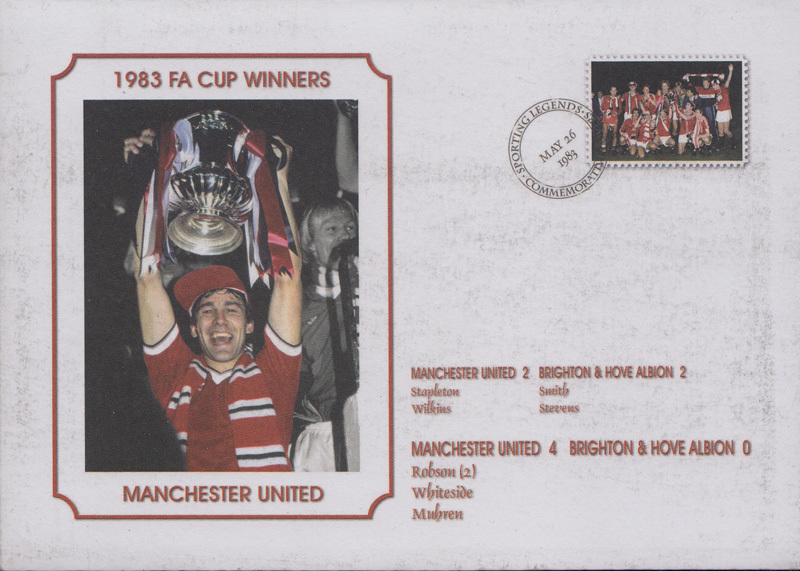 The Sun only accepted tokens in lots of six, plus 5p, to get your 12 Soccerstamps by return post. 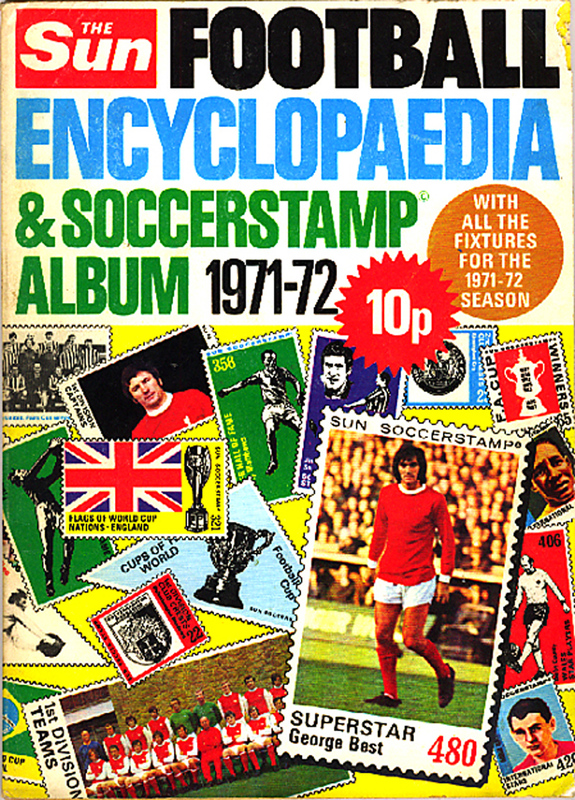 The stamps were to be mounted in the spaces for them in the 164-page Football Encyclopaedia and Soccerstamp Album (available from newsagents for 10p). The album suggests that you stick them in with stamp hinges. Collectors of these stamps therefore distinguish between those which were (a) never stuck into an album, (b) stuck in with stamp hinges or (c) stuck in as stamps. 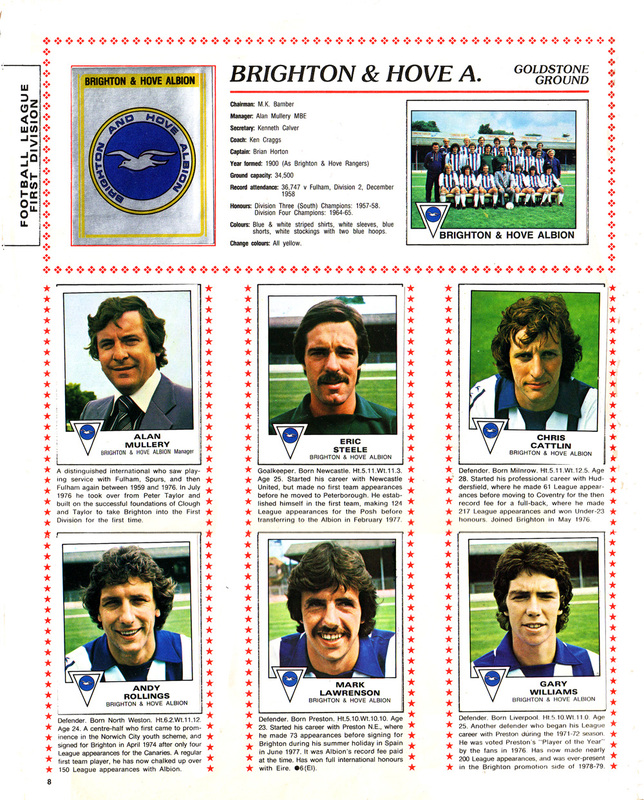 Despite getting promoted in 1971/72, I’m pretty sure Brighton don’t feature in the 3D star cards that The Sun ran with the following season. 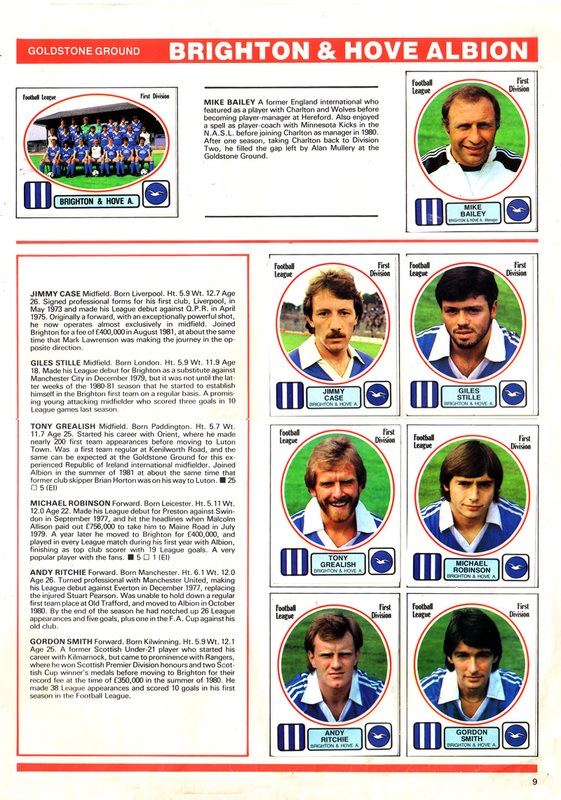 Looking at the Arsenal pages now, it’s striking that out of the 14 Gunners on display, five would eventually join Brighton (Steve Gatting, Willie Young, Sammy Nelson, Liam Brady and Frank Stapleton). 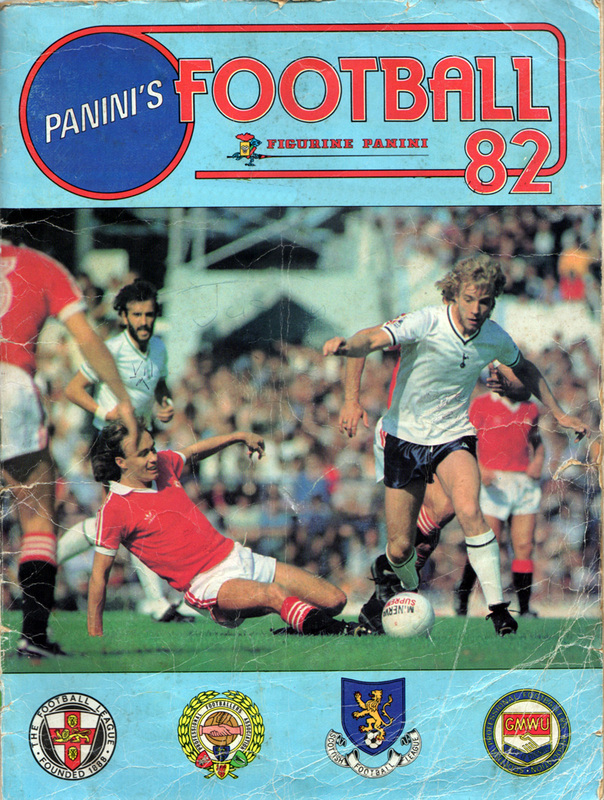 Neil McNab lined up as a Bolton player sticker for the last time, while future Seagull favourite Michael Robinson smiled for his Manchester City photo shoot with a joviality that was not reflected in his unhappy year at Maine Road. However, it’s the Albion double-spread that really catches the eye! 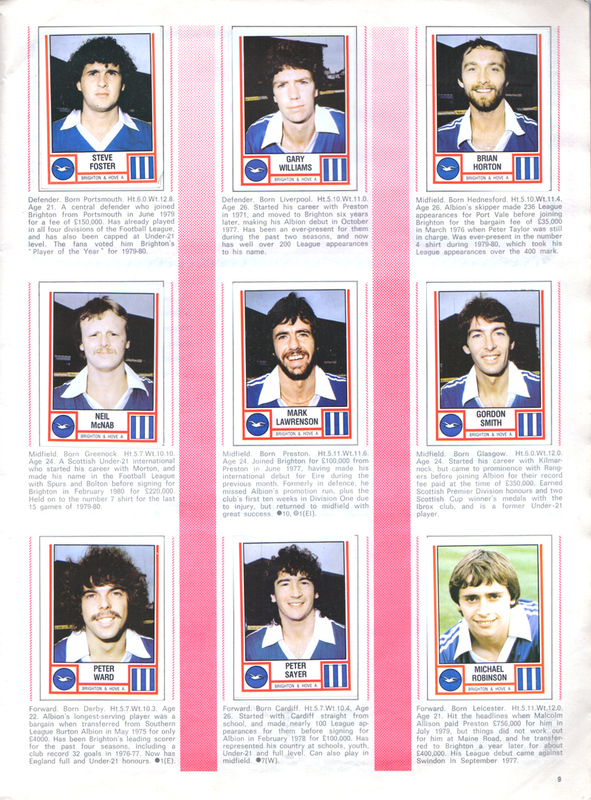 In these head and shoulder shots, we get to see the bubble perms of Sayer and Ward, but even these are outnumbered by the popularity of moustaches within the Brighton first team, through Lawrenson, Horton, Clark, O’Sullivan, Poskett and Ryan. Curiously, our players here are wearing flared collars with a triangular panel at the bottom, whereas during the season (I’m addressing fellow shirt anoraks, here!) it was open flared collars that were on display, at least for the home kit. 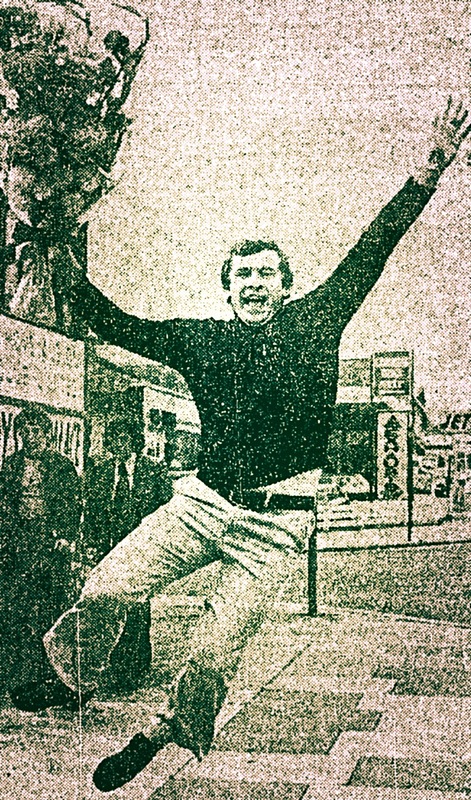 As the season unfolded, keeper Eric Steele gave way to Graham Moseley. 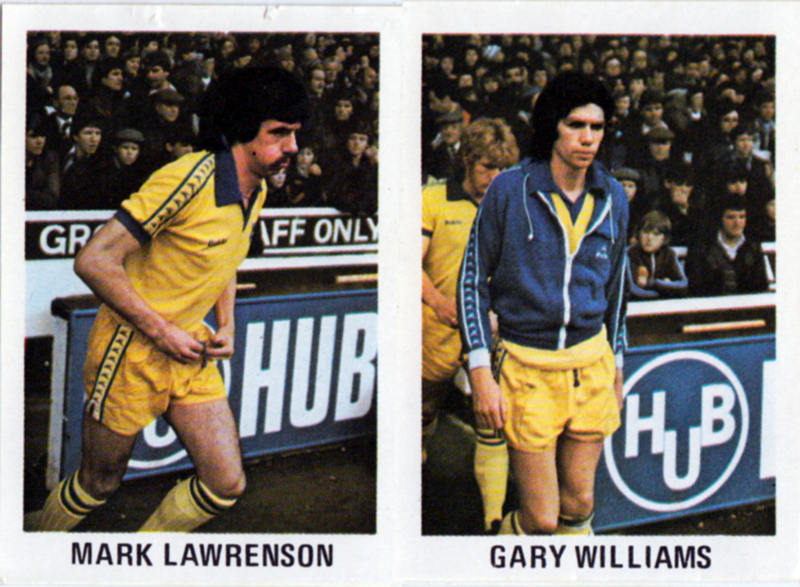 Gary Stevens and Steve Foster also played much stronger roles in defence than either Chris Cattlin or Andy Rollings. Sayer, Maybank and Clark would be further casualties as Mullery moved his Panini stickers around his imaginary album to try to find a winning formula. 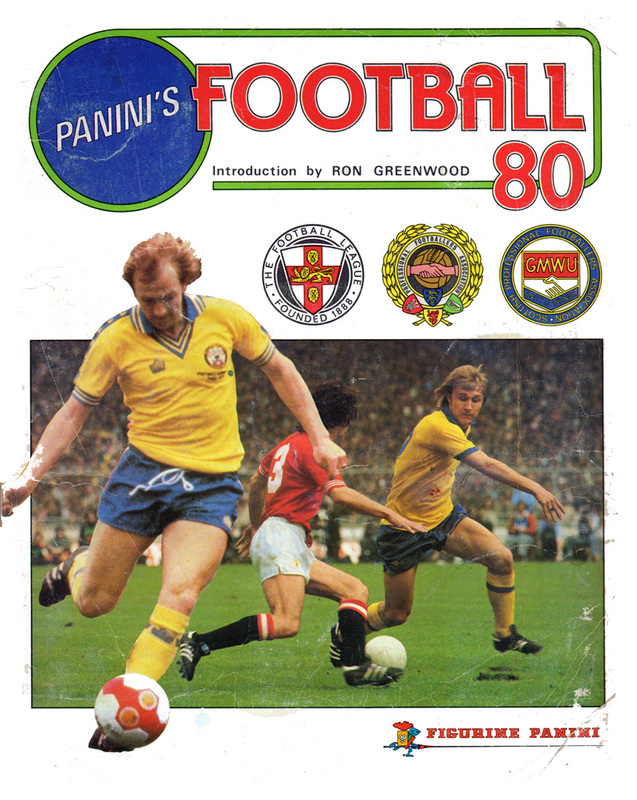 Then, from nowhere (OK, Blackpool in the Third Division) Peter Suddaby took Lawrenson’s spot in defence while the Republic of Ireland international was pushed further forward. He would have taken one of the midfielder stickers, while Neil McNab and Ray Clarke would have been the new arrivals bringing high quality passing and forward play to the Goldstone. Good swopping, Mullers! To the uninitiated it may appear a strange obsession. It is the collection of special stamps on the day of their issue displayed on a special envelope, known as a “cover”. First day cover fans must make sure they buy them on the day. They stick them onto a special envelope and write the address they want it posted to. It can be just one stamp or the entire series. Crucially, the envelope needs to bear a special postmark that is only available on the day. For the Doctor Who launch, Royal Mail is offering special postmarks in the hometowns of the 11 actors who have played the Doctor. Once the handstamp has been applied, the letter can be posted to the person. Arriving in the post at the collector’s house guarantees authenticity. 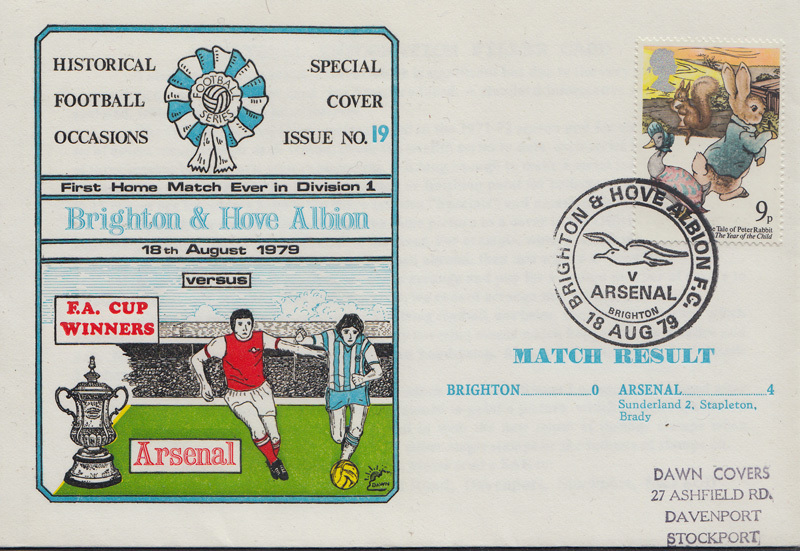 The Goldstone Wrap has previously featured a first day cover commemorating Brighton’s debut in the First Division in 1979 against Arsenal. 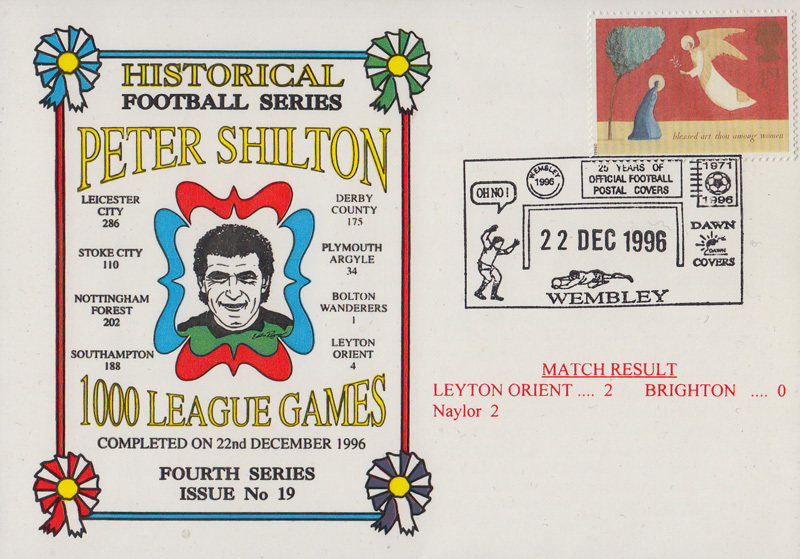 Thanks to Albion fan and collector Nick Spiller, we are back with five more specially designed Brighton-related envelopes covering significant games. 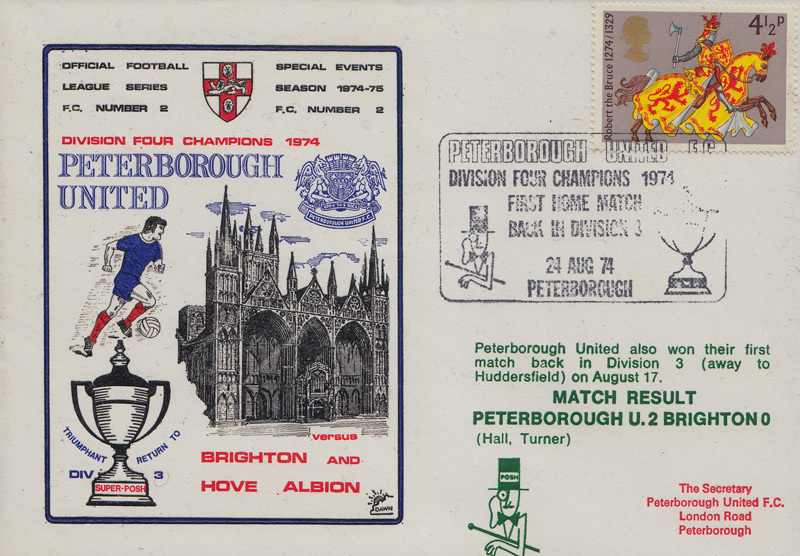 Stylistically, though, with its hand-drawn players, it wasn’t far removed from the Peterborough first day cover. 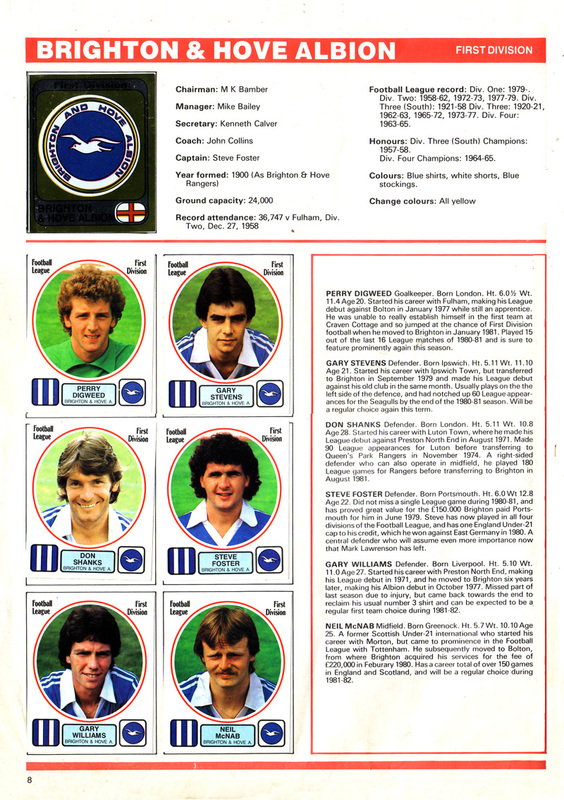 By May 1983, however, the curtain had come down on Brighton’s spell as a top flight club. Even so, the club garnered enormous exposure through its appearance at the season’s FA Cup Final, and this included three (count ’em!) first day covers issued. Again we lost, just like against Peterborough, Arsenal and Manchester United (eventually) before. 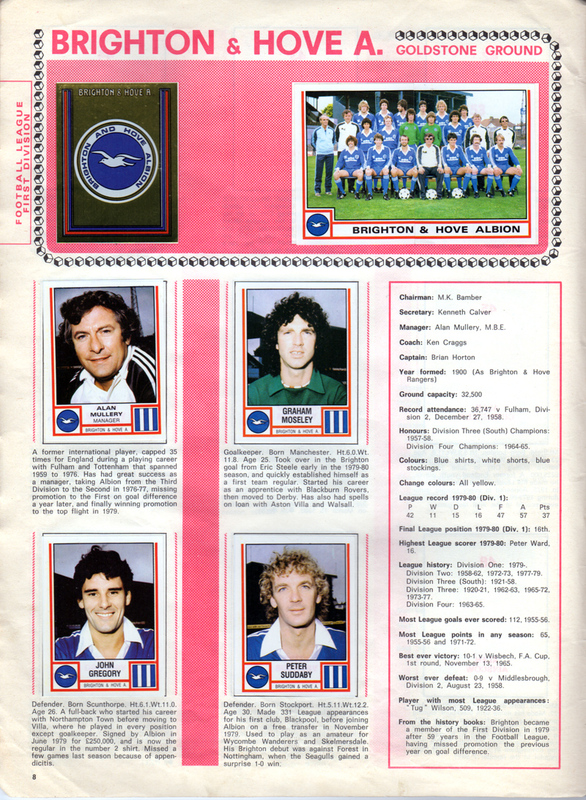 If superstitious, it may make you ponder if some kind of crazy first day cover jinx affected Brighton in the 1970s, 1980s and 1990s. It is certainly questionable how much fondness there can be in posting and receiving an artefact that reminds you of results not going your way. 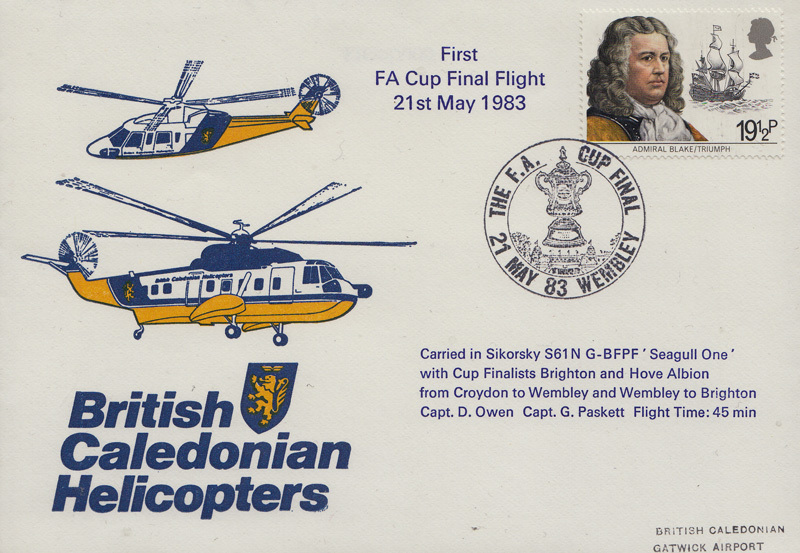 With Gordon Smith’s fluffed shot in the first game and then the FA Cup Final Replay in 1983, there is no doubt we already had tears for souvenirs.